Art and activism go hand in hand for multimedia artist Hady Sy, who for years has been using his artwork to draw attention to social issues such as war, religion, identity and love. 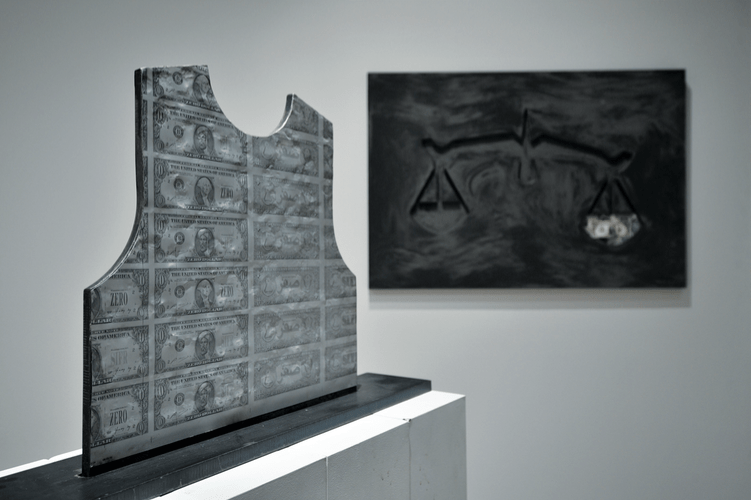 His latest solo exhibition, currently on display at Saleh Barakat Gallery in Clemenceau, Beirut, examines the social and political role of money. The powerful exhibition – titled Sifr, meaning zero in Arabic – features photos and installations based on a zero dollar note that Sy created. Using these fake bills in different contexts, the artist shows how money impacts relationships, industries and life in general. The artist maintains that money is nothing more than paper, ink and design, and its assigned value is not real. His zero dollar bills are identical to American dollars, aside from a few details like the word “Sifr” instead of the currency’s portraits, and numerical zeros on the notes’ corners. 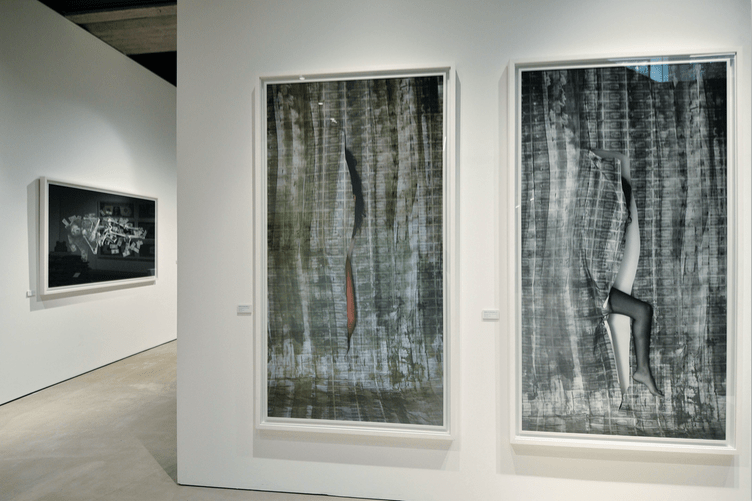 In his Beirut studio, Sy took photos of these notes in various contexts and created mixed-media installations using plexiglass, hay, cement and other materials. 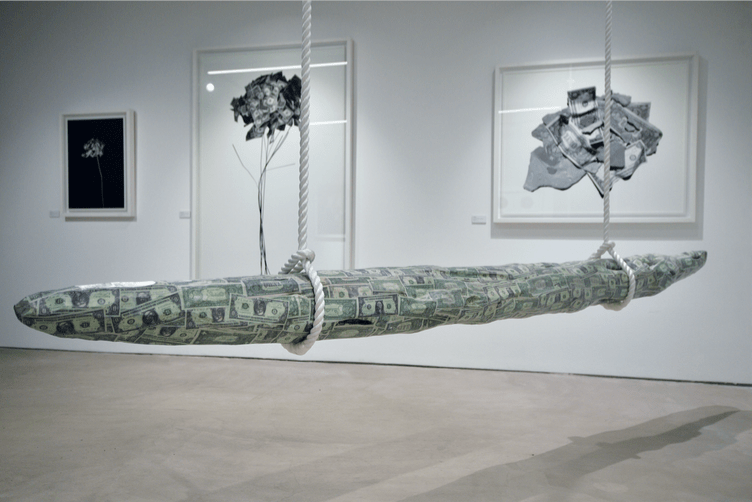 Using popular expressions and ideas, he plays on words and draws haunting parallels that examine corruption, greed, selfishness, cruelty, violence, poverty, justice and more, confronting his audience with the dystopian world of money. A lot of his work also pays tribute to famous artists. He recreated Andy Warhol’s $100 bill as a zero dollar, used René Magritte’s famous umbrellas, filling the underside with money, came up with the “New Origin of the World”, an upgrade of Gustave Courbet’s known work, and reproduced the musical notes from The Beatles’ song, “Can’t Buy Me Love”. Two similar pieces depict a donkey looking at a dollar bill dangling from a stick, which Sy says is an allegory that the pursuit of money is an illusion. Reports say that the eight people wealthiest people in the world own as much as the poorest half of the population, and Sy observes that the value of money is decided by the people who control it. Sy’s zero dollar is not only void of value, but it is also a symbol of a world fast becoming void of values. While he admits that having money can make you happy, he warns that money without morals is “like a cancer”. His exhibition forces us to examine ourselves, what we constitute as wealth and how we attain it. Sy remarks that in the past people earned a living by providing services or products in exchange for money but “now you go and study how to make money, which is totally absurd”.